destiny - (n.) The inevitable or necessary fate to which a particular person or thing is destined; one's lot. A predetermined course of events considered as something beyond human power or control. Destiny. Many people seem certain that their lives courses has brought them together via a long drawn out, winding path. Typically that road leads to a rhyme and a reason for a particular union, which may echo déjà vu. In life options arise as obstacles and every single one has a beginning and an end. Each choice has a starting point and an inevitable conclusion. 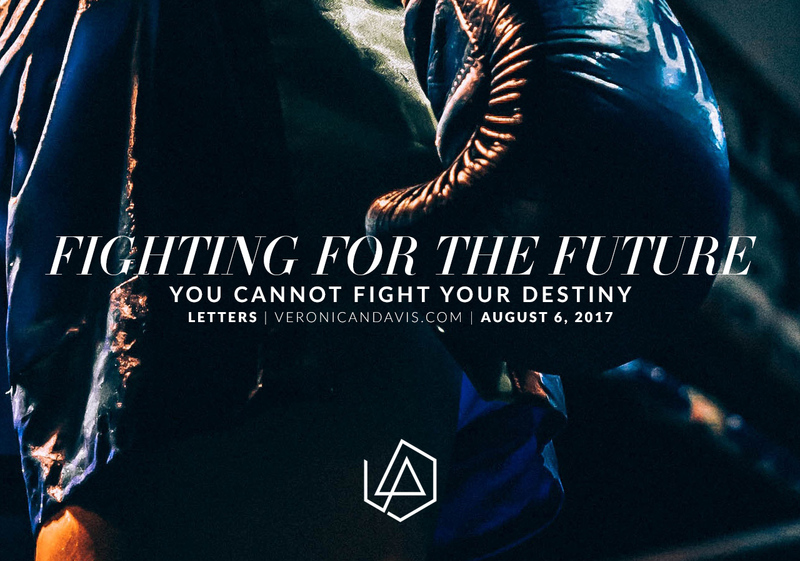 There will be moments where fighting for the future is the only way. A montage of ups and downs will intercept the most calculated moves. A force will intervene and seemingly throw you off courses Remember, challenges come in many forms. There are no guarantees with destiny. Remain hopeful and driven with a certain truth in your mind along the way. That truth is life may not entail what was anticipated or imagined. Neither means stop. Fight through every task, conquer every demon, complete all trials and push beyond every setback. Dreaming is what gives us the faith and confidence to achieve even the smallest goals. Keep fighting. I have been waiting for a blog with an open comments section to simply say I share your sorrows about Chester Bennington and I think it is beautiful how you’re carrying his legacy along with yours. You both have been a brilliant light in my world and I love you so much. There was always a certain similarity to you 2. Then I found out you both share the same star sign and it made sense. I wish you didn’t have to grieve him, but I know – like you even wrote that he is at peace and the soul is immortal. I think the way he inspired you and the way you have built your own EMPIRE is tremendous and he IS so proud of what you’ve done and how you fight for your destiny and always look to make it POSITIVE even in the DARKNESS. Bless you and bless Chester because without you I don’t know where I would be.